Aaron Sanchez is used to being the center of attention. A rapt audience holds their phones up to record the world-famous celebrity chef—known for his various roles on Masterchef, Chopped and Chopped Junior—as he grips a 4-inch bunker in his right hand. The bait fish isn’t a special or secret ingredient on a hit show. It’s not going to be poached, smoked or seared. It’s not going to be cooked in any way. No, the tattooed chef clenches its head in his molars, twists and pulls with two hands, tearing the head clean off before returning the remainder to the sea as chum. He washes it down with a swig of Miller Lite as the rest of the crew erupts into cheers. It’s 8:45 a.m. 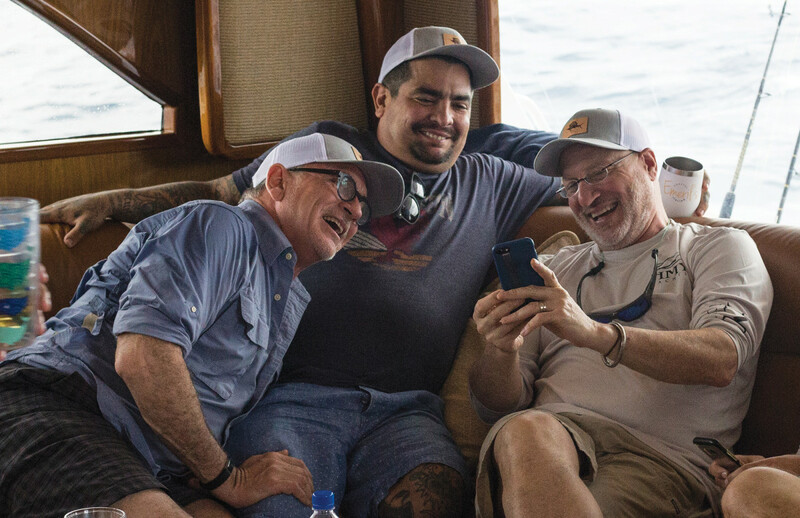 World-class chefs Rick Moonen, Aaron Sanchez and Tom Colicchio kick back on the salon sofa while waiting for the bite. 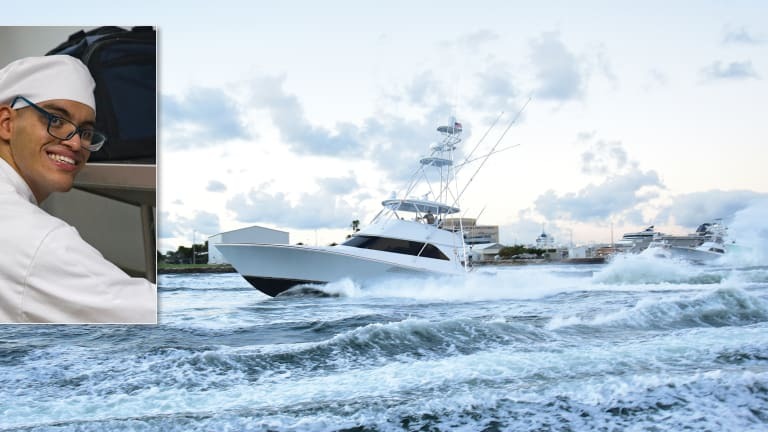 This is day two of the 3rd annual Line, Vine and Dine sportfishing tournament put on by Emeril Lagasse and his foundation, and we’re standing in the cockpit of Emeril’s 70-foot Viking, Aldente. Among those encouraging Sanchez as he makes this offering to the fishing gods are fellow celebrity chefs Rick Moonen and Tom Colicchio. 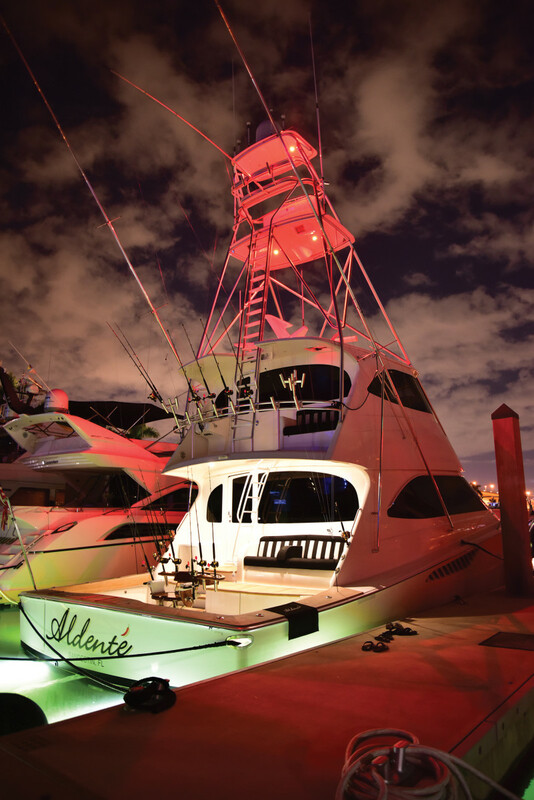 This cadre of culinary characters braved the choppy conditions off Miami for several reasons. They want to support their friend Emeril. They want to support the tournament, which raises significant funds (the price of entry is $15,000 and no cash prizes are awarded) for youth programs. 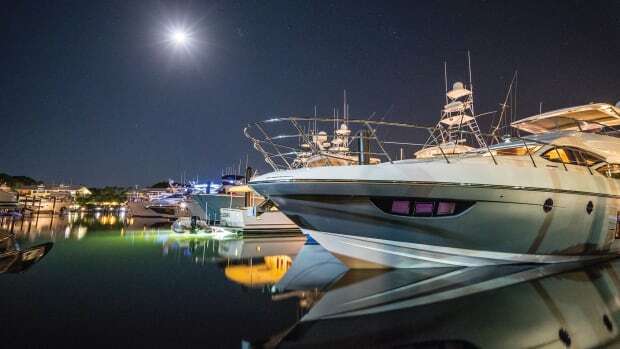 But perhaps more than anything, they look to this fishing trip as a chance to relax, disconnect from their many business ventures and reconnect with friends. 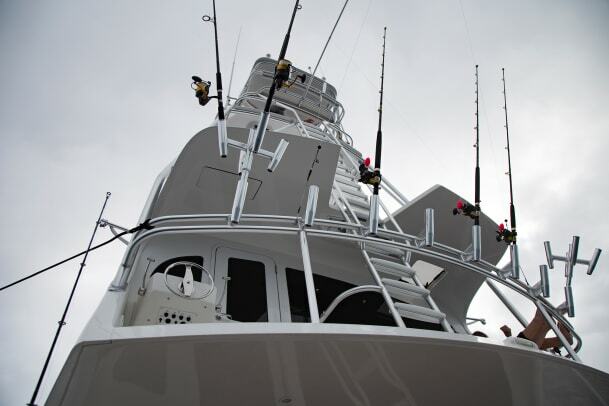 Putting a few billfish in the fishboxes, well, that would be seasoning on the sailfish. You can tell right away that Emeril is competitive; after a slow first day he’s hoping to land at least two weighable fish to get on the tournament board. But more than that, he wants everyone, from his fellow chefs to the crew, to have a good time. Wings marinate while Chardonnay and conversation flow fast and freely. I learn that each of the chefs is balancing a full plate of responsibilities and new restaurants back on land. Like the kitchen of a Manhattan restaurant during a Friday dinner rush, you need to watch where you step. 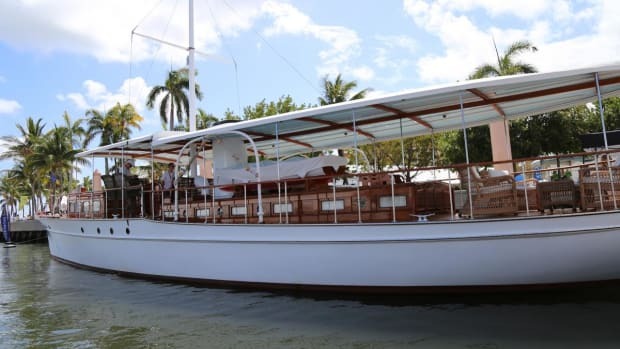 Guests find their footing while the boat pitches and Emeril’s captain and crew work their way around the cockpit in a carefully, quietly executed choreography. Kites are launched into the air, line is reeled in and baits are checked all under the watchful eye of Lagasse, who looks on from the mezzanine seating. The waiting continues. Back on land, students from the Arc Broward Culinary Institute—an intensive, 16-week program that teaches young people with disabilities how to become chefs—prepare appetizers and small dishes for the evening’s gala. Students are paired with local chefs from the Broward County, Florida, area to create an assortment of dishes, from ceviche to mac and cheese. The students are working well into the evening on a Saturday night, but you’d never know it. They serve guests warm smiles with each dish. Watching their reactions as guests at the blue-blazer gala praise their meals makes me think of a new twist on an old adage. Give a man a fish and he eats for a day; teach a man to fish—and the value of giving back—and it can change the world. Emeril Lagasse and Gary DeSanctis presumably discussing the many virtues of an air fryer. It made a welcome snack for a hungry crew. 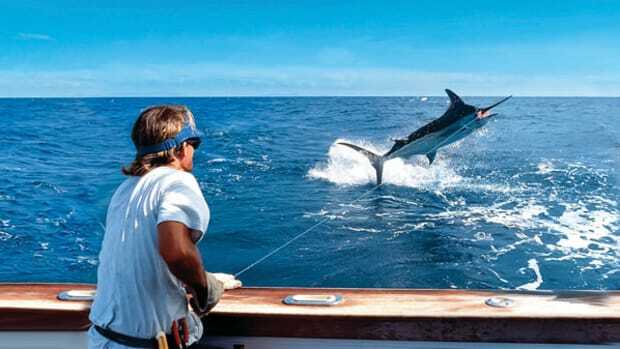 Fishing remains slow. Lagasse offers Benton and his other crew members a cold drink and a snack. The New York Times has referred to Lagasse as “the Julia Child of the 90’s, the most influential cook on television.” He’s reached close to a billion viewers during his time hosting a smorgasbord of shows. 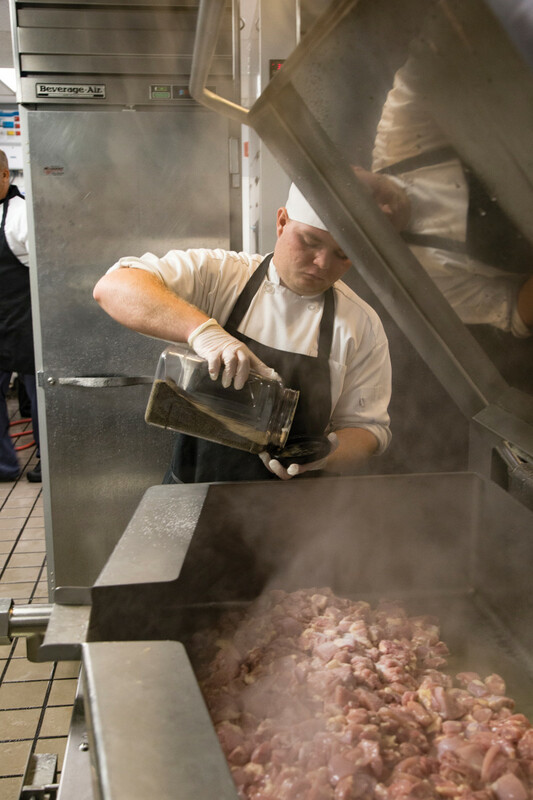 He’s won countless awards for his cooking, and was counted as one of 1998’s Most Intriguing People of the Year by People magazine alongside a young Leonardo DiCaprio, Cameron Diaz and Mark McGwire. 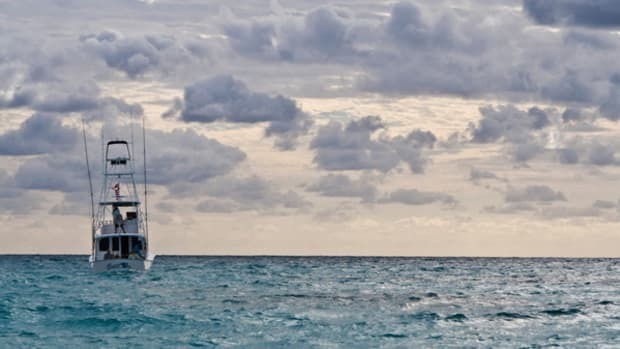 He’d be forgiven for not wanting to cook on this snotty day; the Seakeeper is working hard enough for everyone. But what about those wings, you may wonder? Cooking those would be an honor bestowed upon my boss and air-fryer extraordinaire, Gary DeSanctis, who jumps at the chance to impress these masters of the culinary universe. 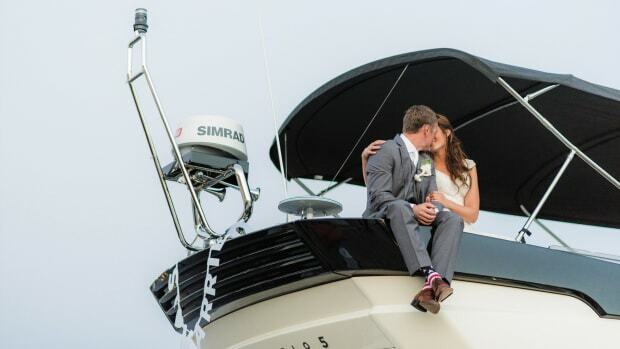 Hey, it’s not every day you get to use an Emeril Lagasse branded air fryer aboard the man’s own boat. Crisped to perfection (I have to admit, while a bit pricey, those air fryers work wonders) the wings, served with a side of irony, were devoured and helped improve morale from a nearly fish-less outing. 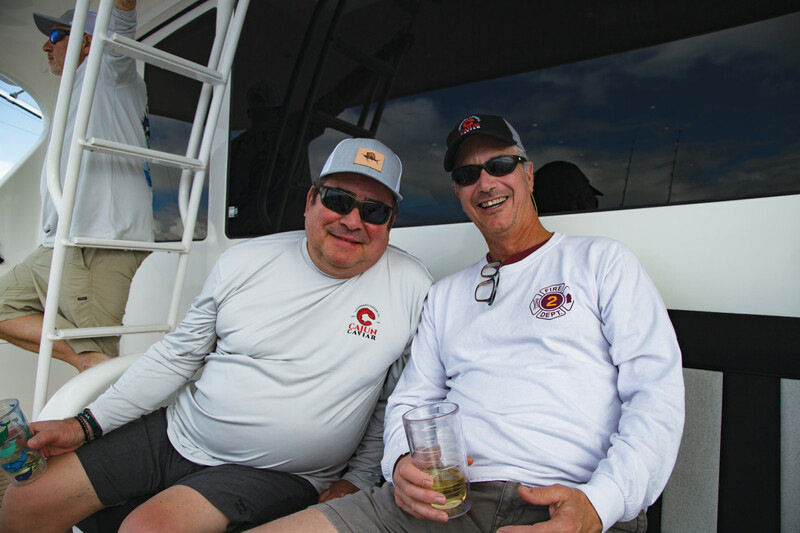 By any measure—other than the number of fish in Aldente’s fishboxes—this year’s tournament was wildly successful, raising hundreds of thousands of dollars. 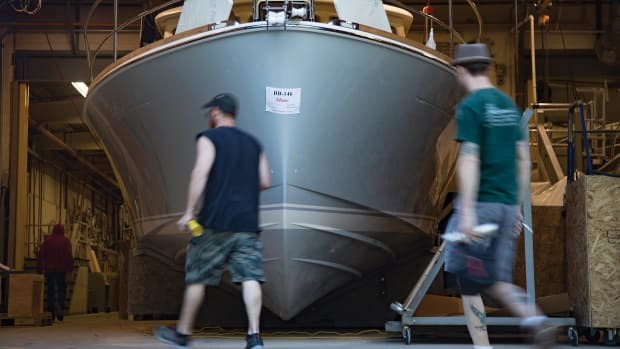 The generosity of boaters and fishermen never ceases to amaze me. When the tournament ends and the battlewagons return to their home ports, I take a deeper dive into just how the funds will be used. I follow the donation trail 23 miles inland to the edge of the Everglades to Arc Broward and the culinary institute. 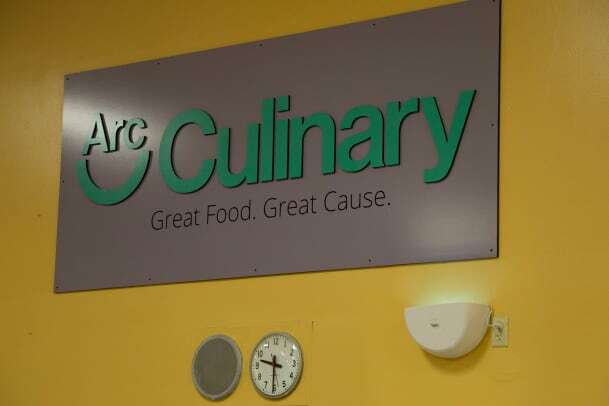 There, early on a Monday morning, I meet Arc Broward’s head of marketing, Jessica Rodriguez, who gives me a tour of the institute’s 1,500-square-foot kitchen where young people with disabilities learn the ins and outs of working in a kitchen and where, for many, a passion for becoming a chef is ignited. I meet a young man named William whose father is a chef at the Fontainebleau Hotel. Only a few weeks into the intensive 16-week program, when I ask how he’s enjoying Arc Culinary, he tells me he wants to stay there forever. I also meet Gianluca, who goes from chore to chore with a wide grin. His favorite part of the program is cooking desserts; he tells me that just the other day he made a mean batch of brownies. William maintains sharp focus as he works to prepare lunch for the Arc Broward campus. Upon graduation he will receive a custom knife kit. In the classroom portion of the school, a young man named Jason is going through orientation, learning the different parts of a knife and how to properly chop and dice. I also meet instructors like Tiffany Crawford and Juan Peralta, who bring a palpable passion to their jobs. 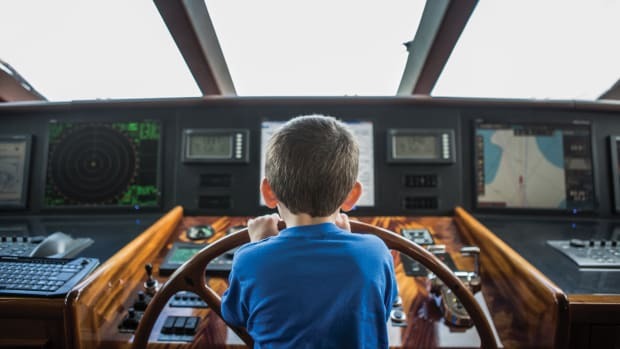 They might teach the particulars of how to navigate a kitchen and how to cook, but really they’re mentors who are teaching something much more important: how to overcome adversity and to believe in yourself. I learn from Rodriguez that the funds from the tournament are being used to create the Emeril Lagasse Innovation Kitchen, an 8,000-square-foot space that will allow the number of students in the program to quadruple. In South Florida, where restaurant and hospitality jobs are plentiful, that means as many as 100 students a year will go on to find meaningful employment. 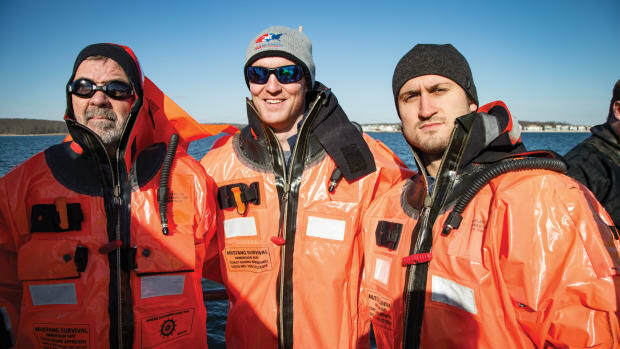 Thanks to a few well-known chefs and the fishing community that supports the Line, Vine & Dine tournament, now William, Gianluca and Jason have the chance to don a white chef coat and pursue their dreams. If that’s not a recipe for success, I don’t know what is.